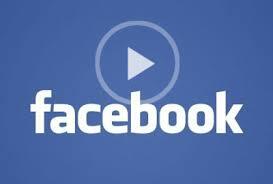 Facebook is finally going to launch its much-awaited auto-play video ads. On 17th December 2013, the company announced in the morning that it is testing such ads in the News Feed with a few advertisers. The ads run without sound unless users tap it and users can also expand them to full screen in this case. A carousel appears at the end of auto-play video where you can click on two additional videos. According to Facebook, just a small number of its users will begin seeing the ads this week. These ads will not affect the data plans of the users if they see it on their mobiles as the videos will have been downloaded in advance via a Wi-Fi connection when available, as communicated by Facebook in a blog post. Rumors about this new unit were in the air since last year and that it was originally supposed to appear in summer 2013 but was postponed a few times. Prices for a 15-second auto-play video ad are said to range from $1 million to $2.5 million.